Very nicely laid out ski resort. It spreads itself well over the mountain to maximize terrain use with a limited lift system. Not a very large area but very well planned. Says Nina. other Northern Europe ski resorts. This ski hill is likable and small-size with a pleasant personnel. This ski resort has an average proportion of red and black ski trails and an average part of intermediate or beginner runs. 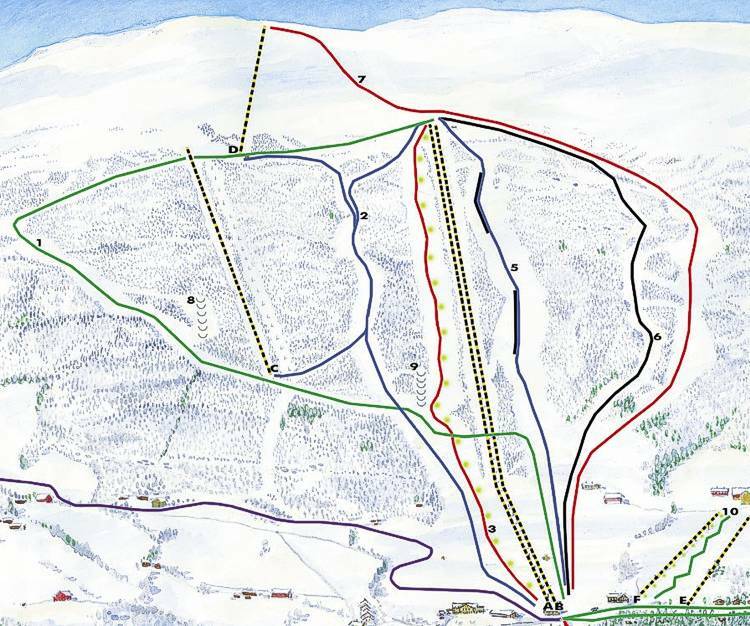 Please refer to the ski run map of Bjorli on this page for info. The mountains of Norway during ski season are a delightful place for snowboarding and skiing. Getting a tremendous workout and getting out of the house for a while will make you delighted you came.